Following a one hour discussion, we will flow through a sweaty, heart pumping vinyasa class that incorporates all elements of the informative hour. You will leave feeling energized, open and uplifted. 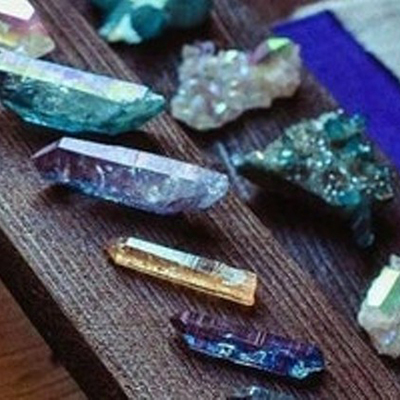 Join Mackenzie and special guest, Audrey Simper, in an eye opening workshop surrounding oracle cards and crystals. 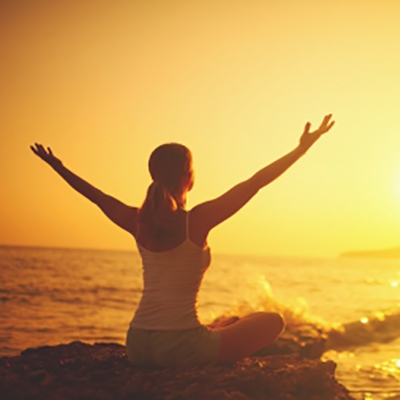 Like yoga, oracle cards can be used as a tool for self-discovery and can bring an increased awareness and connection to self and others. Tune in to your own intuitive guidance system and practice readings on yourself and others. Option to purchase a Terra Luma Oracle Card deck. Props are our greatest tools in Restorative yoga and there is no prop more relaxing than the sandbag! In this workshop, Casey will guide you through an incredibly calming Restorative Yoga class and while you're in each posture, an instructor will come around and place sandbags strategically on your body. The sandbag will not only encourage your body a little bit deeper into the pose, but the weight of the sandbag will calm your central nervous system helping you to relax with more ease. This workshop is for all levels! Join Lauren D, Lauren K and Casey for a killer marathon of sculpt! Challenge yourself through 75 minutes of sculpt, taking 15 minutes outdoors for a heart-pumping cardio circuit. Cool it down with Casey as she guides you through gentle restorative postures. No sculpting or yoga experience required. Learn foundational tools to build core strength and alignment in some of the most exilerating poses in Yoga. Get past the fear and experience the benefits of empowering your mind, body, and spirit. Learn the health and beauty benefits as we explore Crow, Headstand, Forearm-stand & Handstand step-by-step with the assistance and guidance from our certified instructors. NO EXPERIENCE NEEDED. Wherever you are...you are! This Summer, join Mackenzie for 108 Sun Salutations to wash away spring, and welcome in summer. The journey of the sun throughout the year is representative of one’s personal journey through and to enlightenment. The summer solstice is the pinnacle of this journey; it is a time to commemorate the conquest of light over darkness in the individual, and the return of unity, wholeness and amalgamated consciousness. We will link breath, beats and motion to create a moving meditation. The first part of this class will be physically and mentally challenging, yet accessible- 108 chaturanga’s is no joke. There will be many layers to the mala, making it accessible for all levels, but allowing it to be challenging even for advanced yogi(ni)'s. Following the salutations, we will cool down with a scents and sounds restorative sequence. Relax the Body, Renew the Mind, and Revive the Soul. In this workshop we'll combine two very healing practices, Restorative Yoga and Hot Stone Therapy. Casey will guide you through a peaceful restorative sequence and while in each posture, the instructors will strategically place hot stones on your body. The hot stones will both relax the muscles even deeper and improve circulation as the heat allows the blood vessels to expand. Whether your body is achy or your mind is cluttered, this practice is just what you need. Yoga Nidra is a state of consciousness between wake and sleep where the participant is deeply, physically relaxed but still mentally aware. 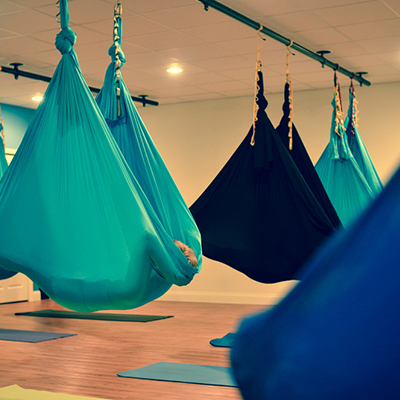 This sacred practice has been around for thousands of years and when combined with the use of Aerial silks will aid the participants in getting into an elevated state of relaxation. Aerial Nidra can assist one to reach a deeper sense of the self, divine consciousness, and further self-realization(s).